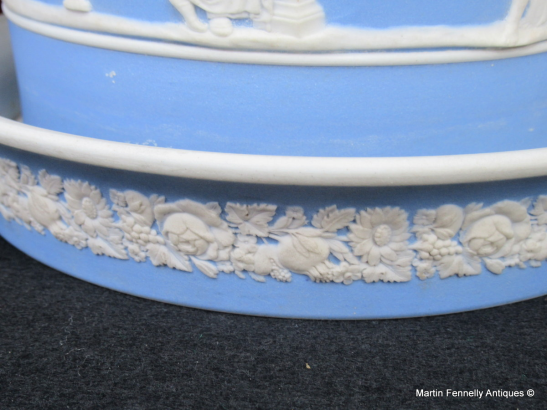 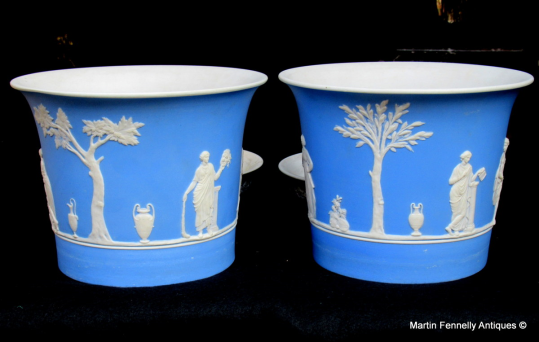 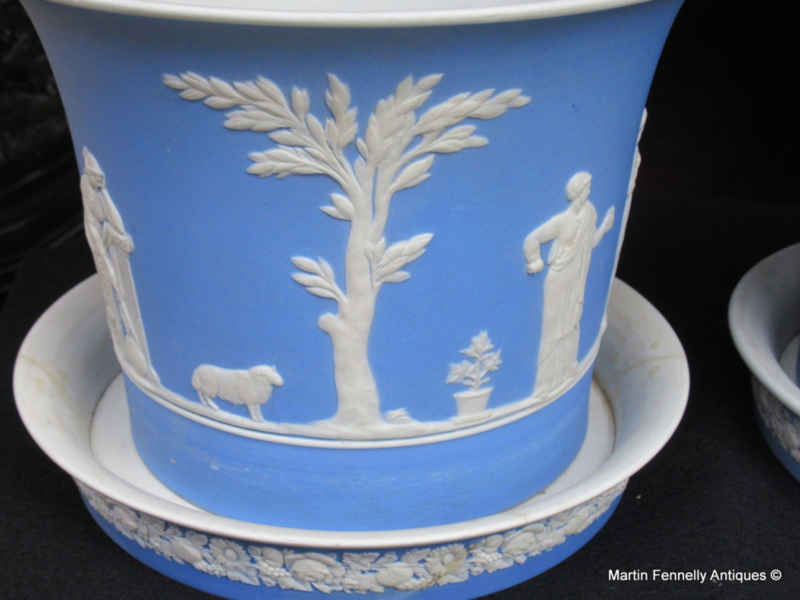 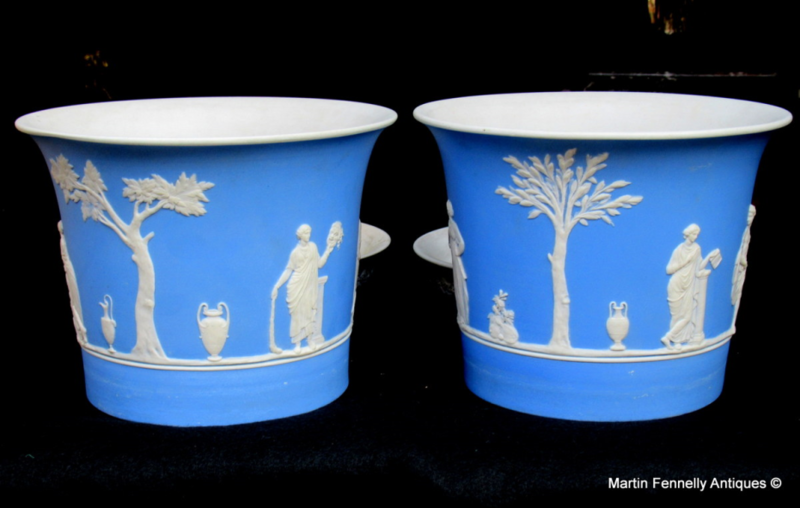 These are a Rare and Beautiful Pair of Wedgwood Blue Jasperware Jardineres with Original Stands. 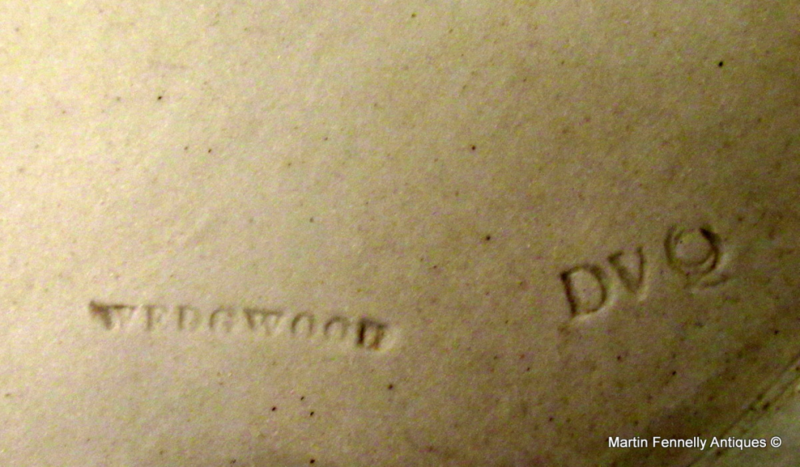 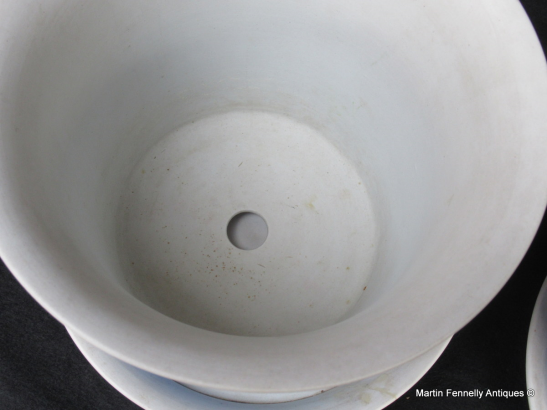 They are in good condition and date to Circa 1880 (base mark - just 'wedgwood' so pre 1891). 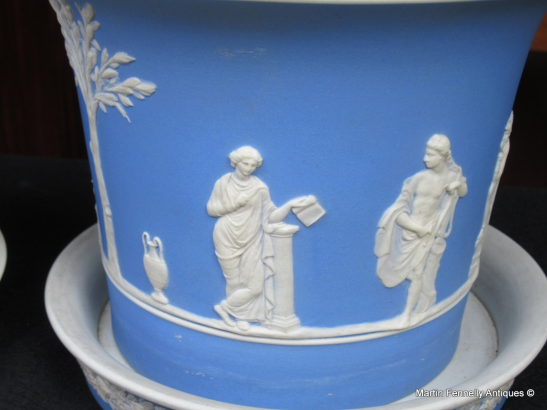 Detailed with Classical Greek imagery. 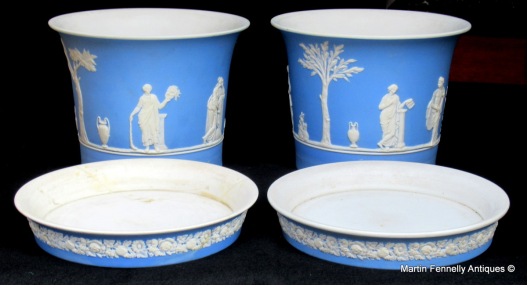 The Classical decoration is crisp and highly detailed and this pair are a rare find as it is very difficult to find them with the original stands so to find a pair was very fortunate.